This document covers the steps needed to configure the Campaign Monitor Design Canvas Integration. Click the "Promotions" tab at top of the page. 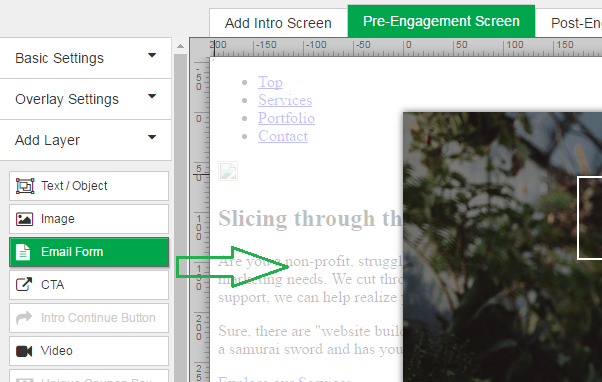 To ADD a new email form, select “Email Form” under the “Add Layer” option on the left side and drag it onto the Promotion Canvas. Click the “Campaign Monitor” tile to authenticate. 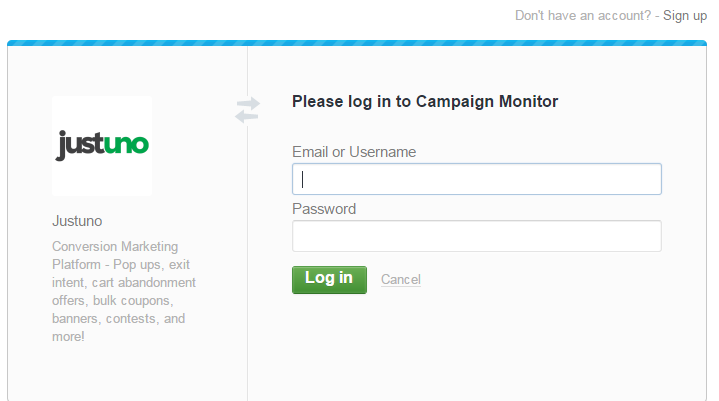 A new Campaign Monitor window will launch prompting you to log in with your Campaign Monitor account. 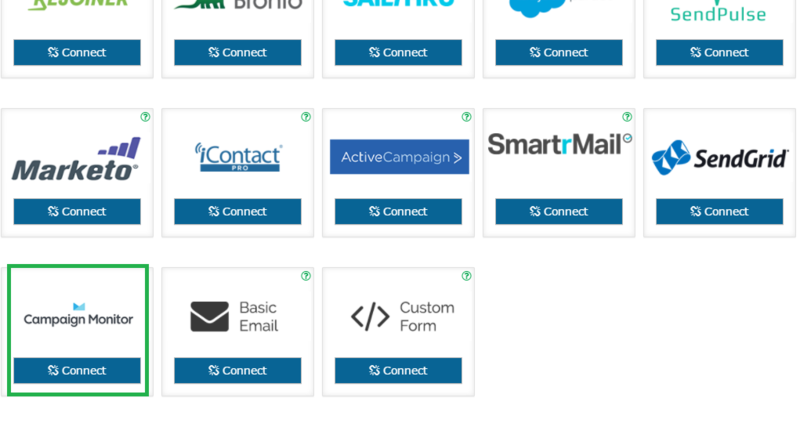 You will then be asked to accept the permissions needed to add/update contacts, lists, and custom fields in your Campaign Monitor account by Justuno. Once authenticated, you will see your current Campaign Monitor Clients appear. In order to select/create List information, select a Client for whom to configure this integration. Select one Client to continue. Once authenticated, you will see your current Campaign Monitor Mailing Lists appear. Select the list to which you would like contacts to be added. 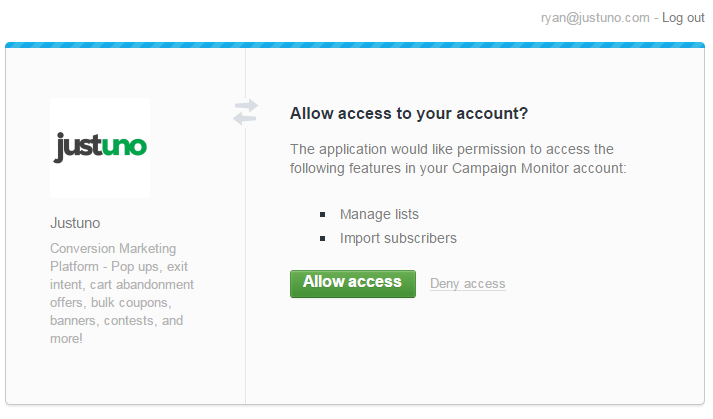 You can also add a New List that will be added to your Campaign Monitor account. Justuno provides a common set of Campaign Monitor fields for use within the form. 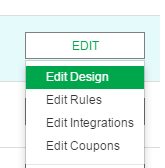 You can set additional options for each field, including Required or Hidden properties. If you would like to use your Campaign Monitor Custom Fields, click "Load Additional Fields" and select the fields you would like added to the form. If you do not see what you need, click "Add New Fields." If you would like to collect user-journey information, make sure the "Hidden" setting is checked. 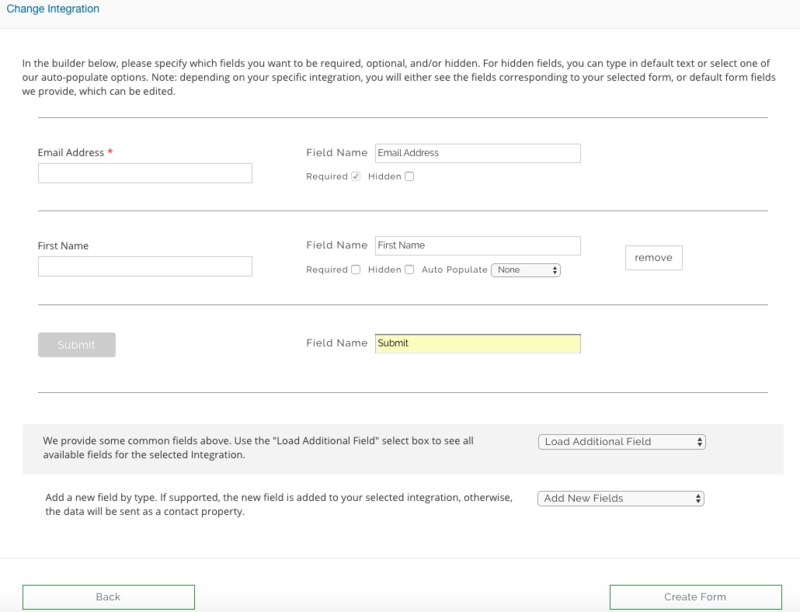 Once you have finalized your fields, click “Create Form” and arrange the fields in your promotion as desired.